Our director, Ginger Huebner, offers teacher training experiences that open up new possibilities for teachers and schools everywhere. 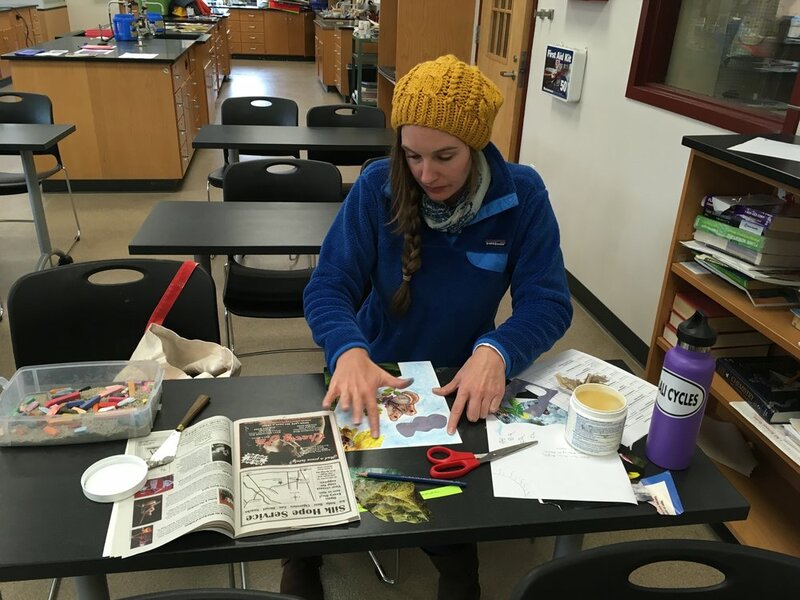 Ginger Huebner's approach to teacher training goes way beyond suggesting creative exercises. Her overarching goal is to nourish the educator, giving them permission to alter their own education mindset. 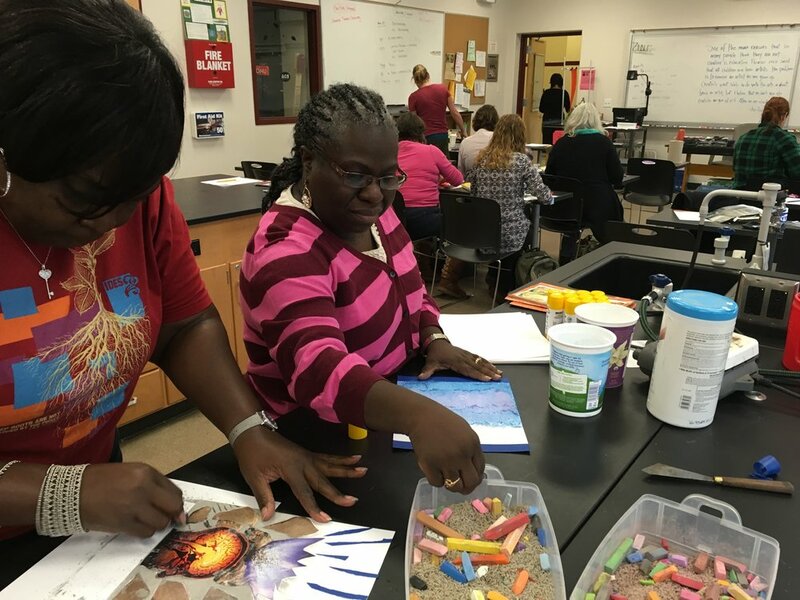 She efficiently and effectively ground teachers’ learning in the principles of design-thinking and integration of art and design to curriculum through hands-on experiences. Ginger truly revolutionizes attitudes to curriculum planning and the classroom environment by helping teachers develop an education philosophy that places creativity at its core that. 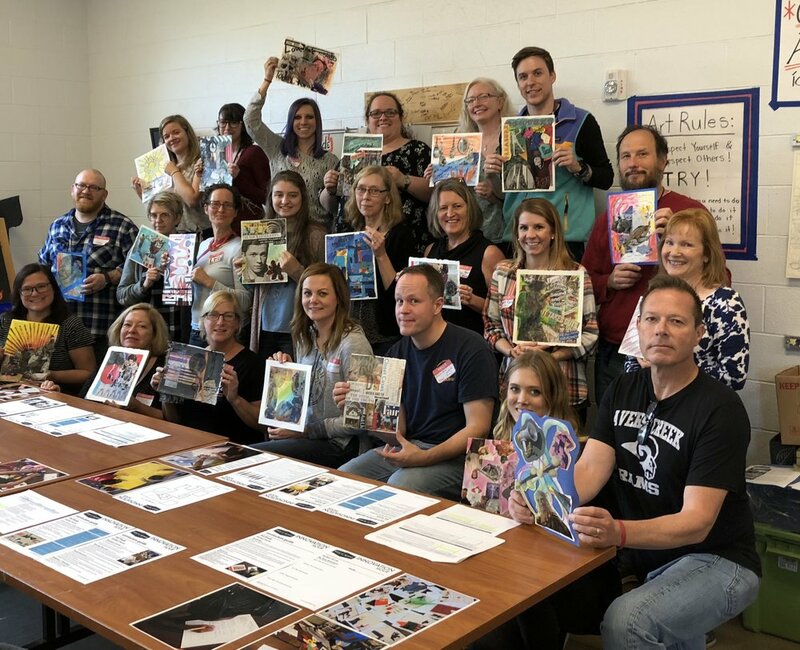 Participants experience the power of process, explore the many tools that could be added to their repertoire and engage their own creative voices. 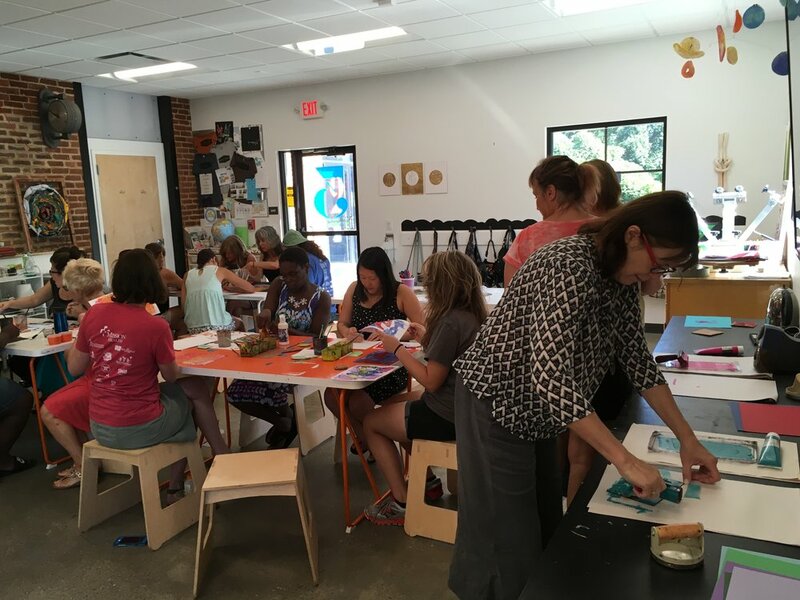 Ginger works with schools from pre-k through high school, offering training workshops on site at your school, at the Roots + Wings Creative Campus at 573 Fairview Road in Asheville, or virtually. Ginger is also available for individual or group consulting opportunities for more specific concerns or challenges or on an ongoing consultancy basis, and can serve as needed as an advisor to boards or core teams. Visit our specific Curriculum Consulting page for more information. The Innovation Hour™ program is a certified professional development course for education professionals and institutions. Workshop experiences can be planned for one classroom, an entire grade level or an whole school teaching team. Ginger can focus the workshop to relate to a specific subject or grade, or keep it broad so that all grade levels can participate and be inspired! All of our workshops can be extended for a longer experience, but we recommend at least two hours to start. for our 2 day INNOVATION HOUR™ teacher training! Open to ANY K-12 teacher - any subject - any grade level! 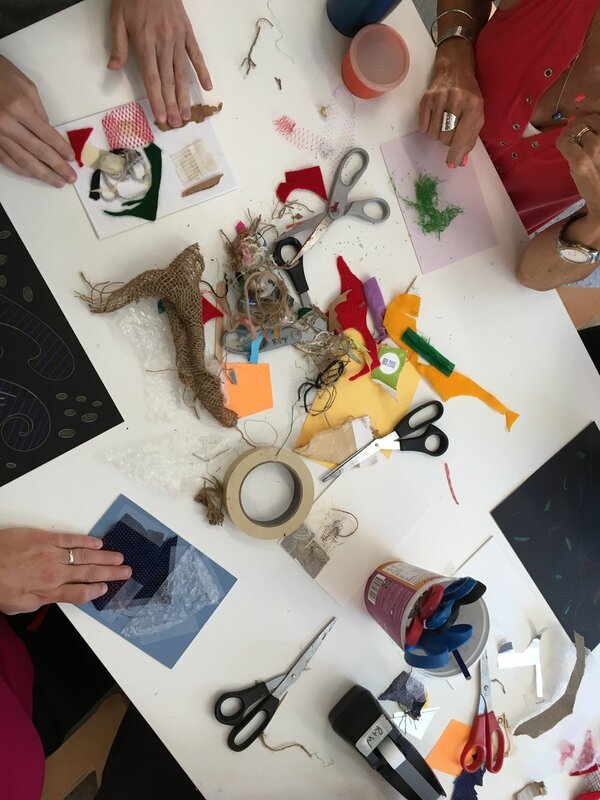 Join Ginger for this two day workshop exploring all kinds of art and design mediums alongside various curriculum elements. We will work individually and in groups as we start with what we each bring to the table and expand our horizons to create and plan all kinds of new projects for the fall school year! You will leave with plenty more to explore as you begin to plan for the start of your new school year! All Ashevile City School teachers will receive CE credits. We can come to your school or hold our workshop at our R+W Creative Campus. 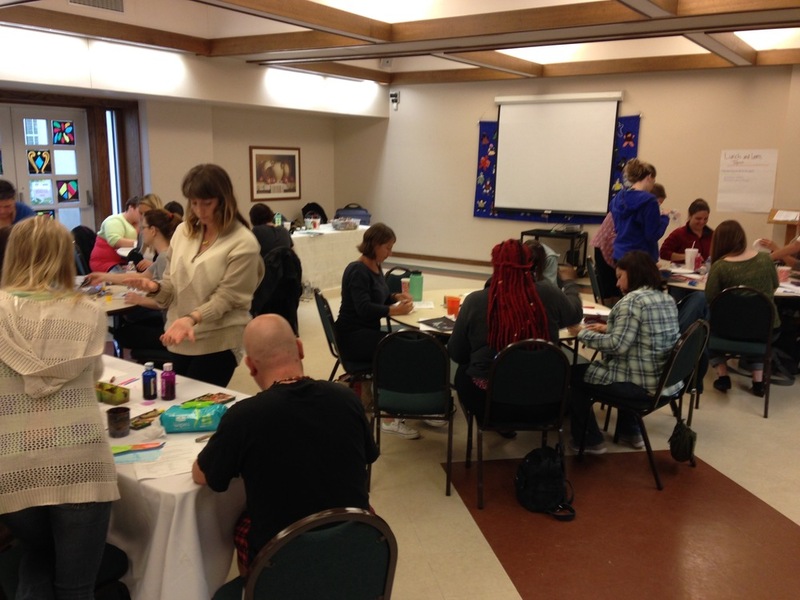 We will spend 2 hours together exploring various mediums and curriculum elements - customized just for your group of teachers! Cost dependent on group size. Our community option includes one main workshop, two site visits along with meetings, feedback and refreshers when needed. It also includes access to our online forum with downloadable curriculum modules. Cost dependent on project scope. Consult with Ginger Huebner directly in person or via video conference. Talk about your classroom space design, meet as a teaching team to brainstorm, or do more hands on development with tools and techniques. Bring Ginger in to help create Innovation Hour™ curriculum to be used by your school or school district. Ginger is available for individual projects or on an ongoing consultancy basis, and can serve as needed as an advisor to boards or core teams. We have a number of ways we can come to your school or organization and offer our Innovation Hour™ to your students…click here for more information! 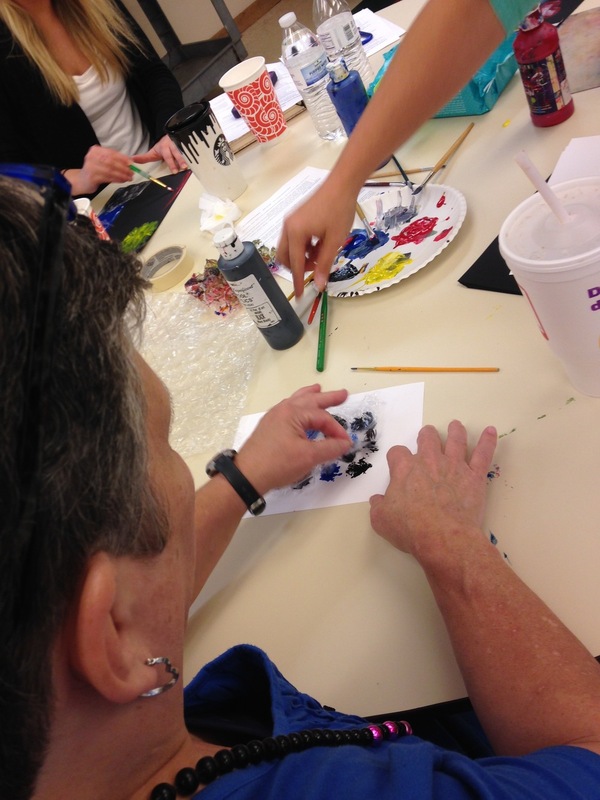 Art + Design Integration training at Buncombe County Partnership for Children! 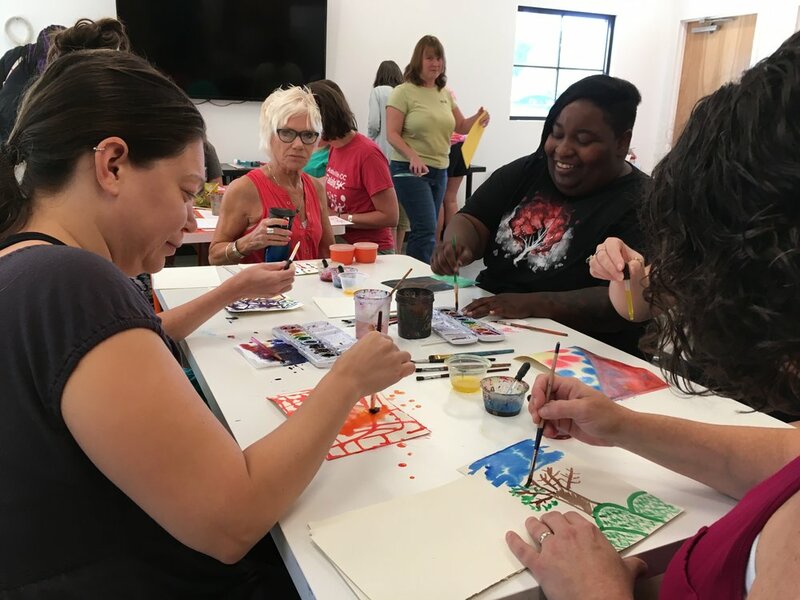 Connect with Ginger below to schedule a workshop or meeting time!